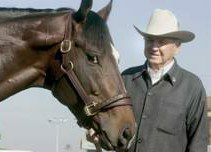 GEVA laments the death of the noble and courageous champion “Lost in the Fog”, the Eclipse Award Sprint Winner in 2006. We extend our sincere condolences to Harry Aleo, his wonderful owner, Greg Gilchrist, his daily friend and trainer, and all of the connections of this beloved horse. We admire and thank them for their total consideration for the well-being of their horse. 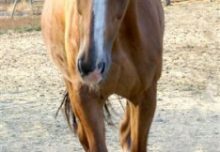 GEVA extends its deep appreciation of the generosity and support shown by Harry Aleo and Greg Gilchrist in their request that donations made in memory of “Lost in the Fog” be made to GEVA for the retired and rehabilitating horses at the farm. GEVA also thanks each and every person or organization who has made a donation to GEVA in loving memory of this talented champion. 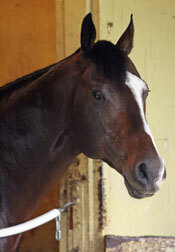 And last but not least, thank you to “Lost in the Fog” for the wonderful memories he left with us all.